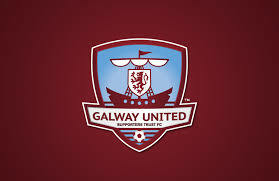 After a fairy-tale first year for the newly formed club, Galway United F.C are ready to begin life as a top flight side, when they make their Airtricity League bow against Derry City in Eamonn Deacy Park on 6 March. In trying to keep his high achieving squad together, the off season has been about consolidation for manager Tommy Dunne. The performances of his team at the latter end of last season did not go unnoticed by other top flight sides and indeed some English teams too. So when Queens Park Rangers came calling for Ireland under-19 international Ryan Manning, the club were resigned to losing a player that then QPR manager Harry Redknapp called “a top top player”. It wasn’t all bad team news for the club as they did hold on to last year’s top goalscorer Jake Keegan and key players such as Paul Sinnott, Ryan Connolly, Gary Shanahan and goalkeeper Connor Gleeson. Along with keeping most of his squad intact, Dunne also managed to attract a few players to the club. Highly rated midfielder David O’Leary was signed from Cork City and defender Killian Cantwell from Wexford Youths, the latter unfortunately suffering a knee injury in training that will keep him out for a couple of months. Another new signing is former Arsenal trainee Sam Oji. Signing from Limerick F.C, Oji will provide much needed experience and strength in defence. Last season the team took until midway through the season to find their form and really it was their run of games at the end of the year that propelled them to promotion. This year there is great continuity in the squad and Dunne will be hoping that his team can use these preseason preparations to build on last year’s success. Finn Harps were the opponents for the first preseason game of the year at Moyne Villa. Both sides were rusty and played out a nil-all draw. However, it was not without excitement as Galway keeper Gleeson did save a last minute penalty keep the scores level. In preparations for the Collingwood Cup, NUI Galway’s first team were glad to play a friendly against Tommy Dunne’s men in Fahy Field. It was a novel affair, as NUI Galway students and Galway United Players Padraic Cunningham and Conor Barry played a half for each team, the former scoring for United in the second half. The other goalscorer was striker Enda Curran, who will hope to fill the void left by Manning’s departure. Indeed, it was Curran who got the only goal of the game in the Maroon men’s third preseason game against Athlone Town, finishing at close range from a corner kick. It was a more comfortable game at Eamonn Deacy Park than the scoreline suggests, as Galway were unlucky not to add to their lead. Although they have not played any top flight opponents in preseason, the assured performances of the team, and their displays when encountering Premier Division teams in the cup last year, will make Tommy Dunne’s men feel confident in their ability to compete and stay out of the relegation zone in the coming season.